Cape Cod roof cleaning service is an important way to make your roof last. In fact, those who purchase new roof shingles should examine the warranty for information on keeping it valid. Shingle manufacturers know that proper roof cleaning keeps the grime and destructive organisms like algae off the shingles. They also know that harsh methods of roof cleaning can damage the shingle products. Whether you never clean the roof or it is done wrong, you risk voiding the shingle warranty. This is also a common problem with siding materials. It is not uncommon for a homeowner to think they need a new roof when all they need is a good cleaning. Whether your roof is asphalt, metal, tile, slate, cedar, or some other type, it can look like it's ready to be replaced due to the stains. Roof stains actually look like the underlayment material is bleeding through the shingles. In rare cases, this is what causes the stains. Most often, it's the byproduct that algae leaves behind after it uses the shingles for food. Before you go for a brand new roof, consider contacting a Cape Cod roof cleaning professional first. 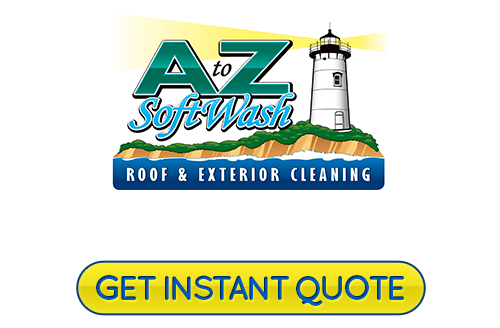 At A to Z Softwash, we regularly assess roofs to determine the type of damage involved. If you are local to one of our service areas, we would be happy to assess your roof. If not, there is sure to be a professional service available who uses safe roof cleaning methods. When properly done, roof cleaning can make your roof last longer. All roofs have a limited lifetime of use before they have to be replaced. You can make yours last as long as possible by taking good care of it. Make sure that you regularly remove any type of tree debris that settles on the roof. Also do everything you can to remove ice build up during the winter. If you need help in Cape Cod, call us. Branches which hang over your roof should be trimmed back. They will release spores, leaves, twigs, and other debris that lays on top for too long. It gets embedded in the shingle material after time. Black stains should always be removed as soon as you notice them. They are very common on the shady parts of a roof and are usually heavier toward tapering sections. 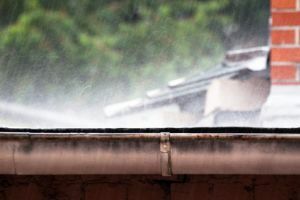 The Asphalt Roof Manufacturer's Association recommends that you have a low-pressure power washing regularly done in order to not damage the roof. Metal roofs can get a chalky white appearance from oxidation. It makes the roof look faded and dull over time. Whether you have a cedar shake roof or a metal roof, a good pressure wash is going to be a part of regular maintenance. Through safe methods, a roof cleaning professional should be able to effectively lift any stain from the materials without causing damage in the process. Remember that we mentioned voided roof shingle warranties? The last thing you want is to hire a roof cleaning service and find out later that they destroyed the exterior materials of your home. If you don't choose our Cape Cod roof cleaning service, make sure that the technicians use eco-friendly cleaning solutions and safe techniques to properly remove all the roof stains. Don't hesitate to ask all the questions you need to about their cleaning processes. You want a thorough clean without damaging your roof, so ask away! Never use store-bought bleach solutions on your roof or on any exterior surface. You may be tempted to spray something on your roof, but it isn't worth the risk. That type of roof cleaning won't get the stains removed deep down and it will likely damage the shingles. Roof cleaning service is one of the most economical home maintenance services you can get. Plus, the results last for a really long time instead of only until next month. Call a professional for an estimate instead. 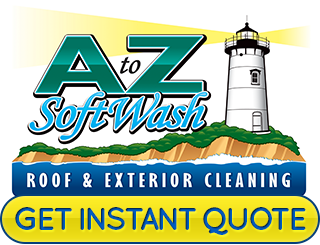 If you have questions or are looking for a Cape Cod roof cleaning and exterior softwashing expert, then please call 508-209-7795 or complete our online request form.